For Over 20 Years, Jimmy Testagross (Ron Eldard) has lived his childhood dream: being a roadie for his childhood heroes, Blue Oyster Cult. But the band’s Arena-Rock glory days are a distant memory. Country fairs and club gigs pay the bills. And Jimmy has become a casualty of these learner times. 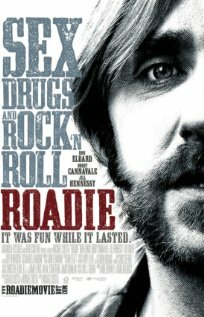 With no place to go, no job prospects, and no real skills outside of being a roadie, Jimmy needs to regroup. So he returns to his childhood home in Queens, New York. There he revisits his old relationships: his ailing, widower mom (Lois Smith), a high school crush (Jill Hennessy), a former nemesis (Bobby Canavale), and most importantly, his relationship with himself. Jimmy, the middle-aged man child, has never grown up. He still carries the resentments and frustrations of his youth, and has allowed them to fester and define who and what he is. Confronted with his mother’s illness, Jimmy has a choice, let go of the past and take responsibility for both himself and the woman who raised and now needs him. Or continue to live a life of lies and frustration.